One of America's preeminent military historians, James D. Hornfischer has written his most expansive and ambitious book to date. Drawing on new primary sources and personal accounts by Americans and Japanese alike, here is a thrilling narrative of the climactic end stage of the Pacific War, focusing on the U.S. invasion of the Mariana Islands in June 1944 and the momentous events that it triggered. With its thunderous assault into Japan's inner defensive perimeter, America crossed the threshold of total war. From the seaborne invasion of Saipan to the stunning aerial battles of the Great Marianas Turkey Shoot, to the largest banzai attack of the war and the strategic bombing effort that led to Hiroshima and Nagasaki, the Marianas became the fulcrum of the drive to compel Tokyo to surrender with consequences that forever changed modern war. These unprecedented operations saw the first large-scale use of Navy Underwater Demolition Teams; a revolution in the fleet's ability to sustain cross-hemispheric expeditionary warfare; the struggle of American troops facing not only a suicidal enemy garrison but desperate Japanese civilians; and the rise of the U.S. Navy as the greatest of grand fleets. From the Marianas, B-29 Superfortresses would finally unleash nuclear fire on an enemy resolved to fight to the end. Hornfischer casts this clash of nations and cultures with cinematic scope and penetrating insight, focusing closely on the people who rose to the challenge under fire: Raymond Spruance, the brilliant, coolly calculating commander of the Fifth Fleet; Kelly Turner, whose amphibious forces delivered Marine General Holland Howlin Mad Smith s troops to the beaches of Saipan and Tinian; Draper Kauffman, founder of the Navy unit that predated today s SEALs; Paul Tibbets, who created history s first atomic striking force and flew the Enola Gay to Hiroshima; and Japanese warriors and civilians who saw the specter of defeat as the ultimate test of the spirit. 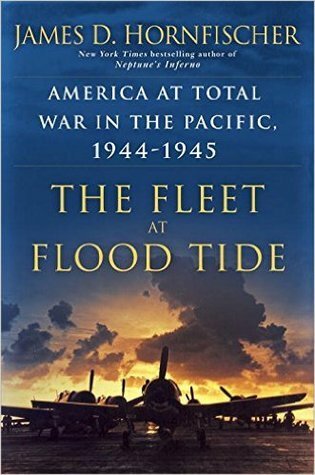 We have here a carefully researched and well-written account of key stages and events in the final portion of the war in the Pacific that includes a careful look at the Japanese side as well as the American. The campaign in the Marianas and the background and reality of the atomic bomb are exceptionally thoughtfully presented. Gerhard L. Weinberg, author of A World at Arms: A Global History of World War II, professor emeritus of history, University of North Carolina"